I’m searching for a large stuffed rabbit from childhood…thought it was Peter Rabbit, but I’m not sure. 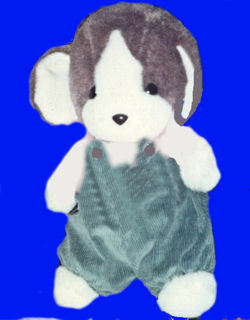 White and brown, wearing blue corduroy overalls. If you can help Carrie find this large plush bunny rabbit wearing corduroy overalls from her childhood, THIS SITE IS NO LONGER ACTIVELY MANAGED. Please use Our FREE FACEBOOK GROUP, including #022608-4 in the subject, .